Manager Maurizio Sarri has admitted he is 'worried' for his Chelsea team after Sunday's 6-0 thrashing by Manchester City. A Sergio Aguero Hat-trick, Raheem Sterling brace and a goal from ikay gundogan saw City totally out muscle Sarri's team at the Ethiad. 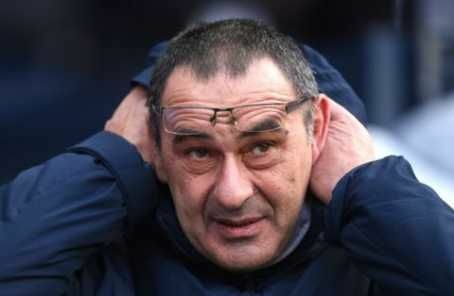 The defeat has led to speculations about Maurizio Sarri's future at the club and the manager said after the match he "does not know" if he will discuss the situation with Chelsea's Board this week. “If the President calls, I’ll be happy, seeing as I never hear from him," Sarri told Sky Italia. MySportDab report Sarri has also acknowledged that talks about his future are inevitable. He added: "I think that is right [that I am under pressure]. I am in charge of the team so, it's right. "I don't know [if there will be talks]. Not at the moment. “But I think that will happen, it's normal. It's something that we need to do." Chelsea’s next game sees them face Malmo in the Europa League on Thursday.